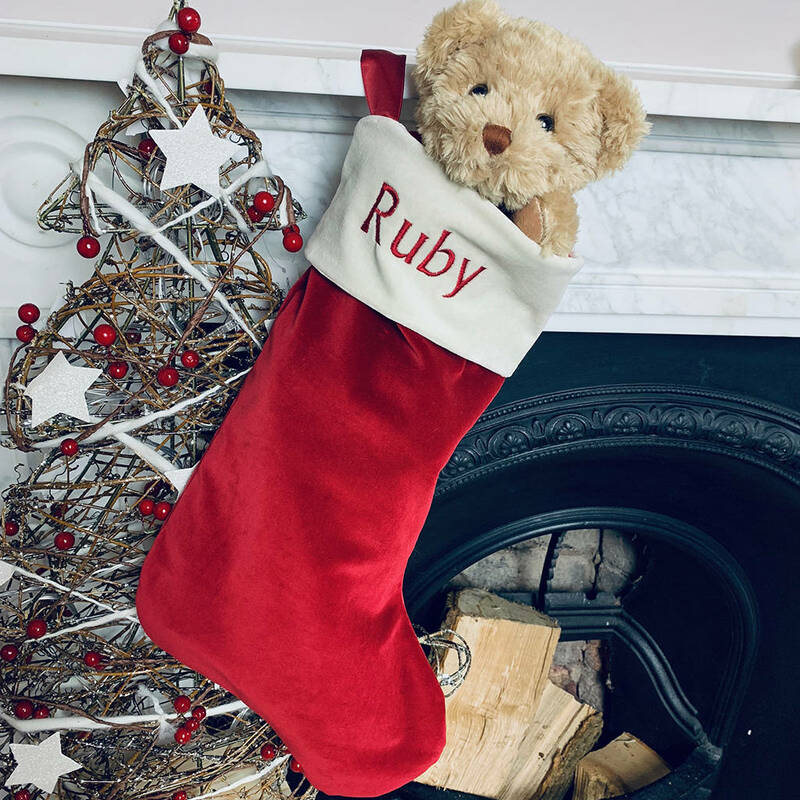 Capture the magic of Christmas Eve with this beautiful, personalised Christmas stocking and share the excitement and cuddles with our special personalised Bertie Bear. 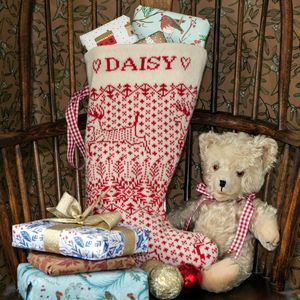 Our beautiful, Babyblooms personalised Christmas stocking makes the perfect addition to Christmas Eve. 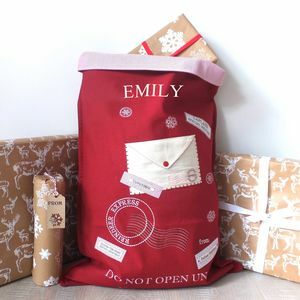 Handmade in the UK, the luxurious fabric and superb craftsmanship make this a wonderful gift for baby’s first Christmas. 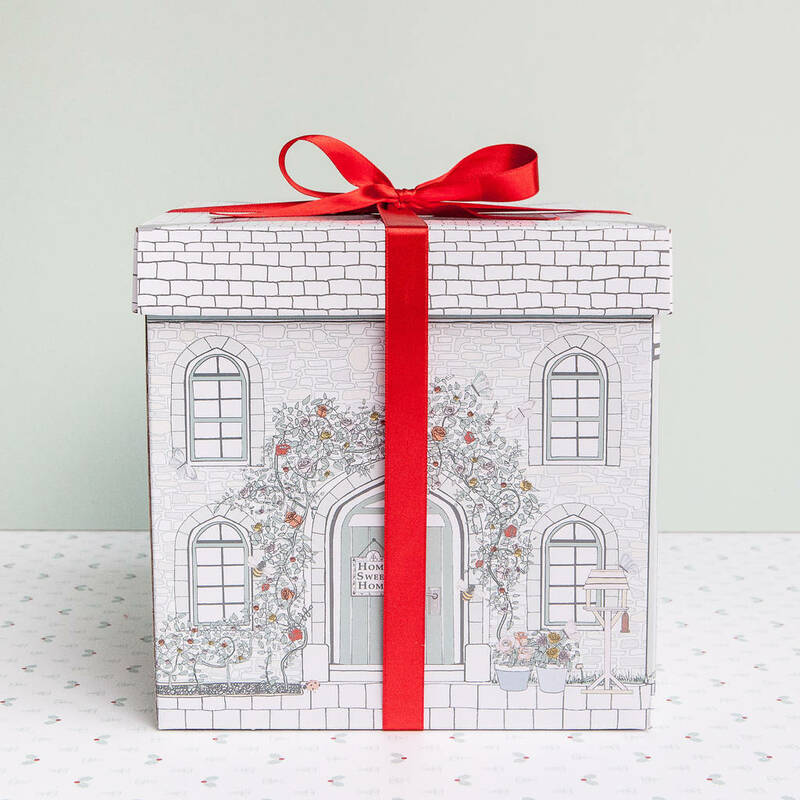 The lovely addition of baby’s name, beautifully embroidered in matching thread creates a gift to be treasured for years to come. 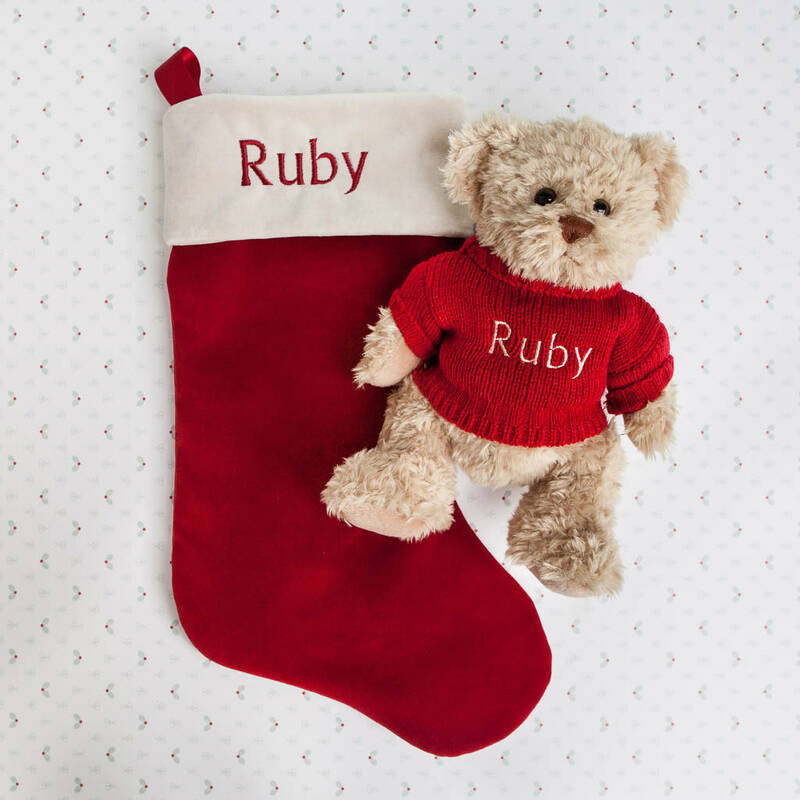 Added to this is our gorgeous Bertie Bear wearing a matching personalised jumper for the perfect Christmas Eve bedtime. 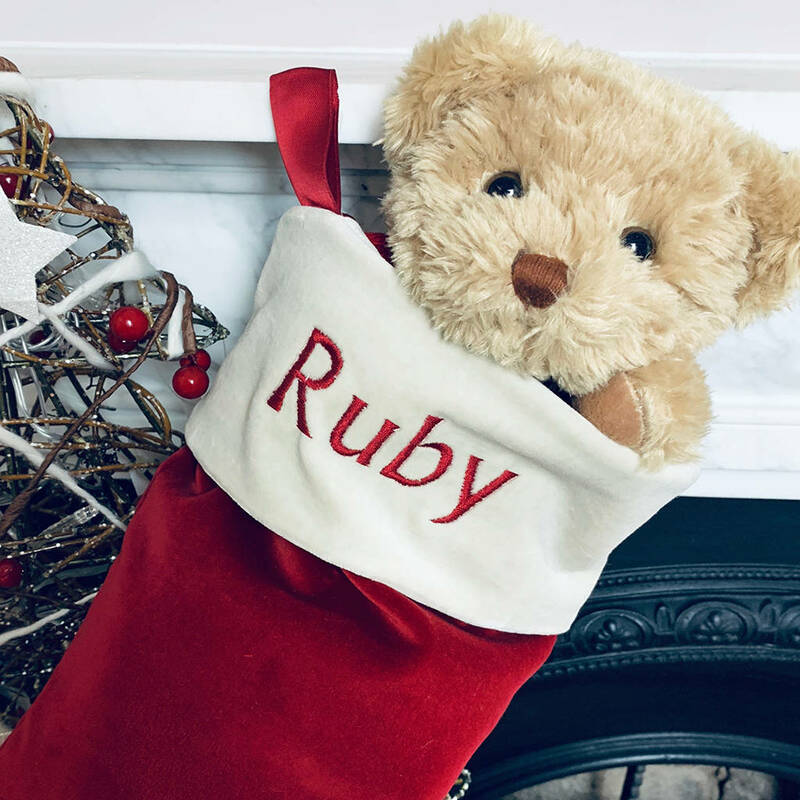 Bertie Bear is a traditional style seated personalised teddy bear with a subtly embossed white ribbon bow around his neck wearing a beautifully knitted jumper embroidered with the name of your choice. He is made from the softest plush fabric which makes this bear an irresistible cuddly companion. 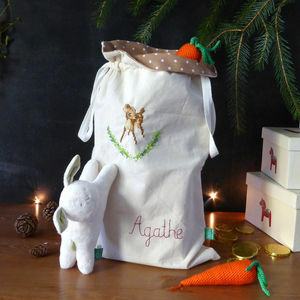 He is 20cm high, made of soft manmade fabric and suitable from birth. 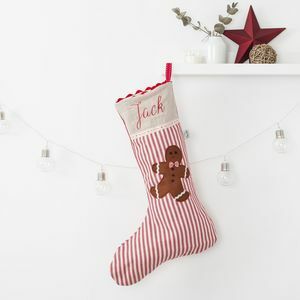 Embroidery can be done up to 10 letters or characters per name/line (up to two stacked lines or names with a total maximum of 20 characters).